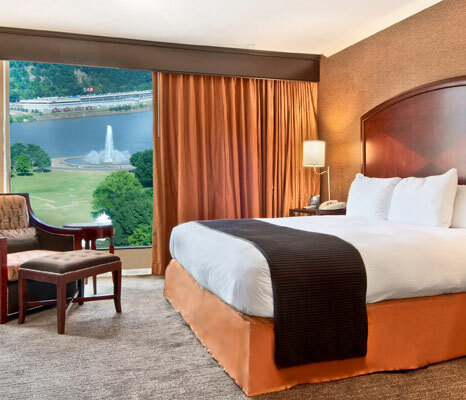 No matter what size and style your Pittsburgh wedding event may be, the Wyndham Grand Pittsburgh Downtown can provide the perfect wedding venues and accommodations for your special day. Choose from an array of stunning settings to find the ideal fit for you, including ballrooms and our on-site Pittsburgh lounges that are perfect for pre-event cocktails. 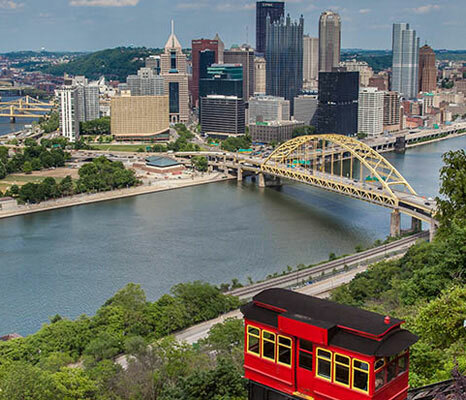 For a full breakdown of available downtown Pittsburgh wedding venues, you can view our floorplans and specifications here. At 17,280 square feet, the Grand Ballroom is the largest hotel ballroom in Pittsburgh, featuring open and versatile space customizable to your perfect wedding day. No ideas too big or small for this room, our experienced wedding professionals will help as you plan and prepare for the event of your dreams. With floor-to-ceiling windows providing stunning views of Point State Park, this lavish ballroom comfortably accommodates up to 500 guests. Join friends and family in this 10,080 square foot ballroom, outfitted with overhead chandeliers, a portable dance floor, and 24-foot windows overlooking the river. 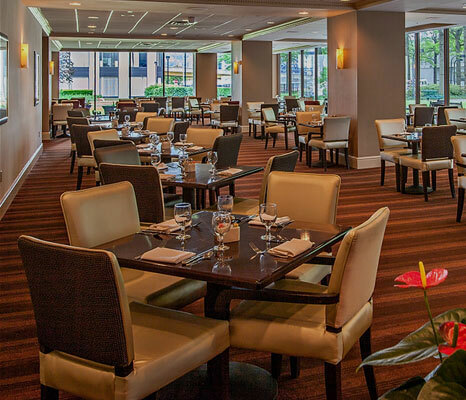 For pre-event cocktails or post-wedding nightcaps, the Wyndham Grand Pittsburgh Downtown hosts two on-site lounges. The 3 Rivers Lounge — located in our renowned 3 Rivers Restaurant — offers a variety of craft beers, wines, signature cocktails and spirits from around the world. For a more cozy cocktail experience, try Scenes Lobby Lounge in the lobby area of the hotel. Please contact our Wedding staff at (412) 391-4600 or request for more information.